I will start this out by saying that I don’t really care about who is president. In reality it doesn’t matter. All the pointless arguing we do about whether or not the president’s policies are good or bad, or which party’s policies would be better or worse, does nothing but blind us to our lack of freedom. The president, as a position and a character, has become nothing but a polarizing figure; nothing but a tool used to make us hate each other. A political circus is created as a source of hatred, so that we will argue and fight with each other, instead of seeing that the real enemy is the power behind the government. The best evidence of this would be the argument over gun control. There are few issues today that create as much hatred and animosity than the debate over gun ownership. One one side is a group that believes that as long as I can own my missile launcher, the constitution is preserved and I can rest easy. On the other hand are the people who feel that every gun is a gun used to kill and feel that all guns should be banned. We have all heard the trite and inflammatory arguments. But the reality is much more complex. On one side of the the coin is a co-worker whose husband hunts. He owns guns in order to provide low cost healthy food for his family. He took his son hunting for the first time and informed him that if he wasn’t ready to prepare a deer for butchering than he wasn’t ready to hunt. This would be a reasonable argument for gun ownership. The flip side of the coin was a published medical epidemiological article that showed that statistically a gun owner was more likely to commit suicide then to shoot a home intruder. http://aje.oxfordjournals.org/content/160/10/929.full Guns for home protection are more likely to cause an accident or be the agent of suicide then anything else. It’s not that gun owners are more likely to commit suicide, but rather that it is statistically unlikley that you will need a gun in order to protect your home. You can see how if we actually have a rational conversation about gun ownership, most of the hatred on both sides melts away, and maybe…just maybe we can do something that they don’t want…find common ground. If we spend so much time and energy fighting each other on things that are essentially non-issues, we will never get to the real issues. The real question is why is all of this on an education blog. The Common Core and testing has drastically de-emphasized history and literature. There is no standardized test for history, and they have forsaken classical literature for non-fiction. The real question is why? History gives us our context; it gives us knowledge of where we came from, and the ability to question. As does analyzing literature, especially classical literature. The standardized tests endorsed by the government have created an environment where the classes that give us the knowledge and ability to question and be critical are devalued. If you really tie money and teacher pay/jobs to test scores, but don’t test history or literature, what does that mean? We will be able to type, we will be able to program computers, we will be able to read technical writing, but will we be able to think and question why? Maybe we will be allowed to own guns to defend ourselves from the government, but will we be smart enough to know when to shoot them and who to shoot them at? 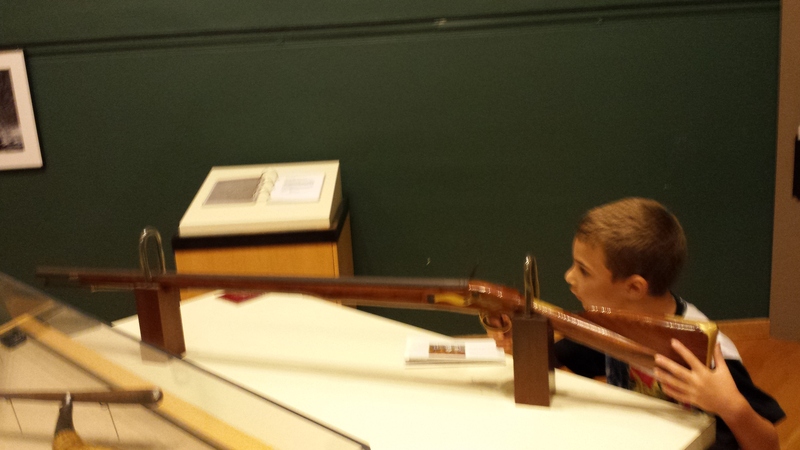 Our son chose to go to Valley Forge for his birthday to learn more about the Revolutionary War. His anti-gun mother bit her tongue.